For the past 30 years Parallel Products has pioneered the innovative technologies for the recycling of beverage industry wastes and residuals. 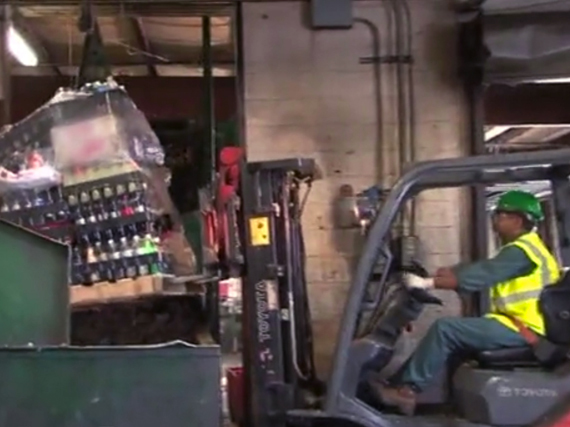 We keep unwanted beverage products out of our landfills and create alternative fuel sources for the nation. • 7 million pounds of other packaging materials such as OCC, PE etc.. Parallel Products maximizes all resources available from the waste products we receive. By converting both sugar-based and alcohol-based liquids into ethyl alcohol or “ethanol” we reclaim in excess of 95% of the total beverage product. Our ethanol reclamation activities in Louisville, KY and Ontario, CA produce over 6.5 million gallons of waste-derived ethanol each year. This ethanol is used to replace products derived from non-renewable sources such as fossil fuels. Federal Excise Tax, Duty Drawback and TTB Tax Credit Recovery for the alcoholic beverage industry are made easy with the help of the tax experts in our TTB Compliance & Tax Recovery Department. Our facility status as Distilled Spirits Plants (DSP) and Bonded Wine Cellars (BWC) also allows the convenience and cost savings of “IN BOND” shipments where possible. Cost savings associated with proper tax recovery and shipment classification can have a dramatic impact to your profitability.